Living in Hawaii, I am lucky enough to be surrounded by beauty at all times. 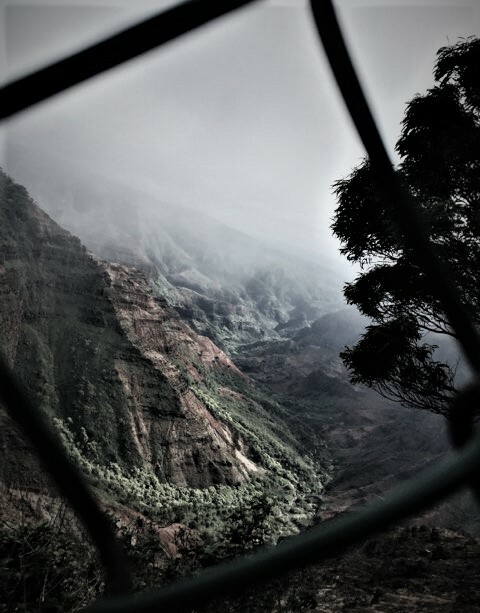 The photo above was taken at an overlook facing the magnificent Waimea Canyon, through the links of a wire fence. In order to capture the image, I had to crouch down and bend sideways, receiving more than a couple of strange looks from the other occupants of the overlook—my own family not excluded. However, I think that the resulting image more than makes up for any minor discomfort I might have experienced. Selah Joy is a homeschooled ninth grader living in Hawaii. Reading and writing are her favorite pastimes but she also dabbles in photography, engages in various sports, and practices martial arts. On most sunny days, she can be found at the beach, two books next to her in case she finishes the one in her hands.